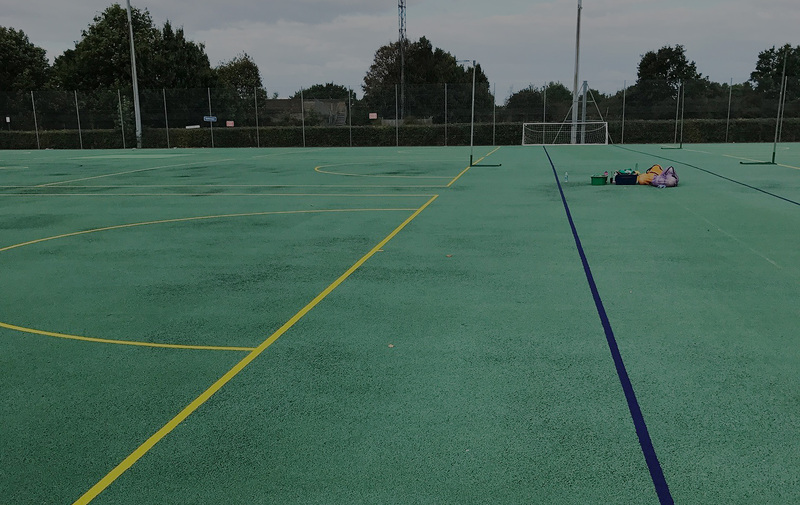 Our exterior resurfacing experience means your sports court or playground refurbishment will look smart, safe and last for a long time. Uneven and damaged surfaces are common through misuse of equipment, weathering and tree roots. Slippery courts can be cured by professional cleaning and painting. Our powerful specialised jet washing equipment at over 3500 Psi pressure cleans the surface efficiently and quickly. Any signs of moss and weeds will be removed with chemicals. If any fretting of macadam is visible, our extremely durable binder strengthens the surface. If issues are diagnosed early, full resurface treatments can be avoided. This means refurbishment can be completed quickly, more cost effectively, and ensure a more durable surface. We are confident of our painting and installing and proudly provide a 12 month workmanship guarantee. You will also receive 6-12 monthly courtesy calls, as well as a free site survey to assess your surface. We will discuss any concerns that you may have with your exterior surface and make an honest and practical recommendation of any maintenance needs.